Bulgaria is absolutely worth visiting destination. In this post, I’m sharing with you 18 reasons to visit Bulgaria ASAP. But just because this land of lush mountains, sparkling seas and fluffy AF bread knots isn’t popular with Americans does NOT mean it should be tossed from your bucket list. Bulgaria, in particular, is the perfect place to start your Balkan adventure. 1. Air travel is easier — and cheaper! — than you think. 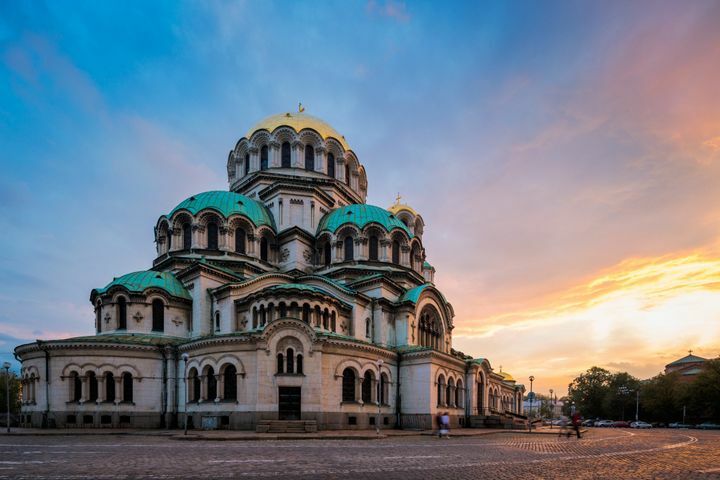 Though the average American may not be able to pinpoint Sofia on a map, flights are impressively affordable to Bulgaria’s capital city. If you choose to explore beyond it, both beaches and mountains are a short flight, drive or bus ride away. 2. The coastline is prime. Speaking of beaches, Sunny Beach is the summer getaway you’ll want to re-live forever. Dance all night at a bar in the sand, and lay on a lounge chair as the sun comes up, drink still in hand. Straw umbrellas on peaceful beach in Bulgaria. 3. And the greatest “meatballs” of your life. Some call them burgers, and some say they look more like meatballs. We simply refer to kufteh as the best darn meat patties of all time. 4. Two words: Fried bread. You know how funnel cake gets all warm and slightly gooey in the center? 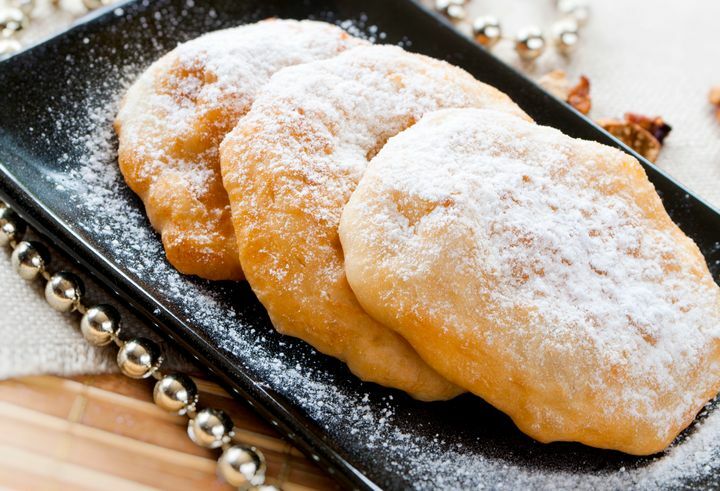 Well mekitsa is a fried bread that tastes just like that… only the warm, gooey center is the WHOLE DARN PIECE OF BREAD. Yum! 5. Nature is both abundant and marvelous. 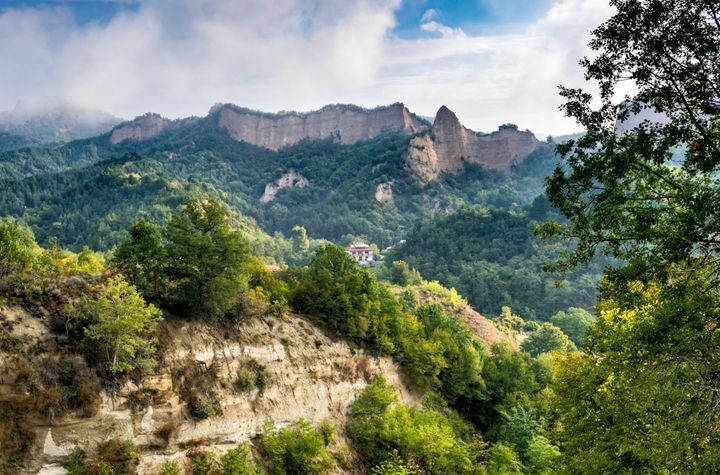 Try hiking a mountain of never-ending waterfalls, or plunging into a cave known as “The Eyes of God.” Streaked with lush Balkan Mountains, Bulgaria is the perfect place to have a natural adventure that’s off the beaten path. 6. And most of the best sights are free. Whether it’s a daring cliffside hike, a cafe-filled Arts district or the interior of an elegant medieval church, you’ll see a LOT of culture for almost no coin at all. Whether it’s with lunch, at dinner, in a cafe or on the street, Bulgarians are always happy to imbibe. But they’re cautious with their alcohol: You won’t see any out-of-control teenagers here. 8. …with some of the friendliest folks you’ll ever meet. Passing travelers tend to agree: Bulgarians are incredibly friendly and eager to make sure you experience the BEST of their culture, of which they’re hugely proud. Expect grandmothers, shopkeepers, college students and waiters to greet you with a smile and a heaping second helping of the nearest food item. 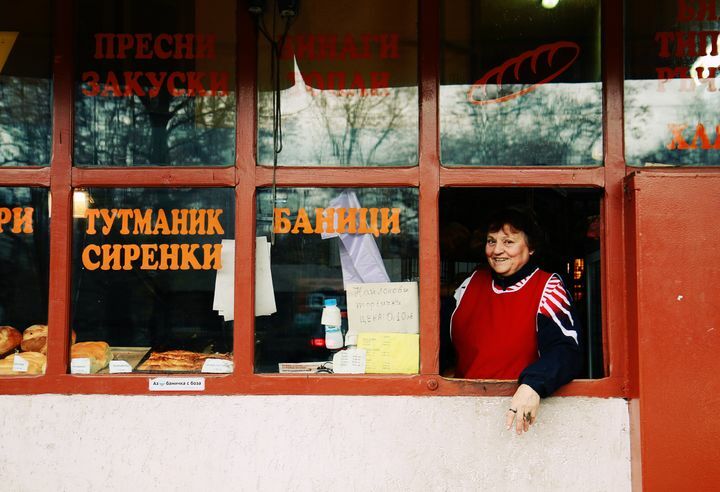 Shop-keeper at a small bakery in downtown Sofia, Bulgaria, inviting customers with a smile. 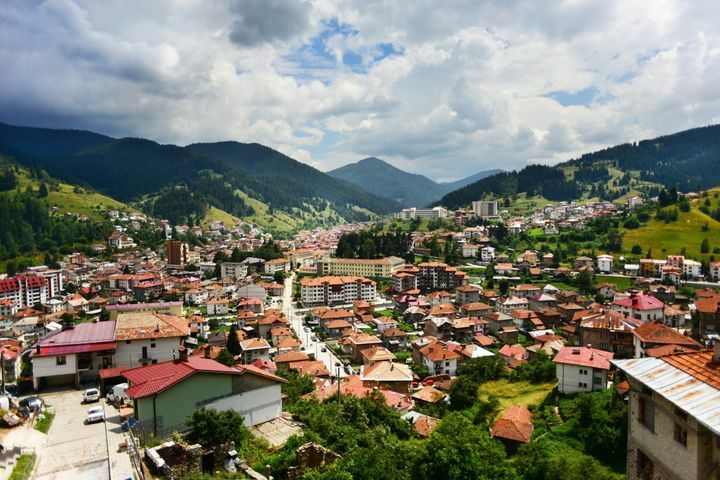 Try looking over the edge of Kopitoto, scaling the seven hills of Plovdiv or riding a chairlift to a high-altitude trek around The Seven Rila Lakes. These views are enough to cure anyone from a fear of heights, or at least give a compelling reason to try and conquer them. 10. …because even churches come with dazzling views. Bulgaria is dotted with dozens of picturesque monasteries. Make the trip to one with an especially panoramic view, and prepare to be amazed. Sandstone rocks in Pirin Mountains near Rozhen Monastery. 11. Dancing is not just for the club. Sure, you can visit a neon-lit chalga club and mingle with scantily-clad dancers until 6 a.m. OR you can dance around the dinner table with fellow diners in a traditional Bulgarian restaurant, where wholesome folk dancing gets everybody up out of their seats. 12. And life is all cheese, ALL the time. After a week in Bulgaria, feta will be your new middle name. Pair it with tomatoes, meat or fluffy white pastry for the typical Bulgarian meal of your dreams. 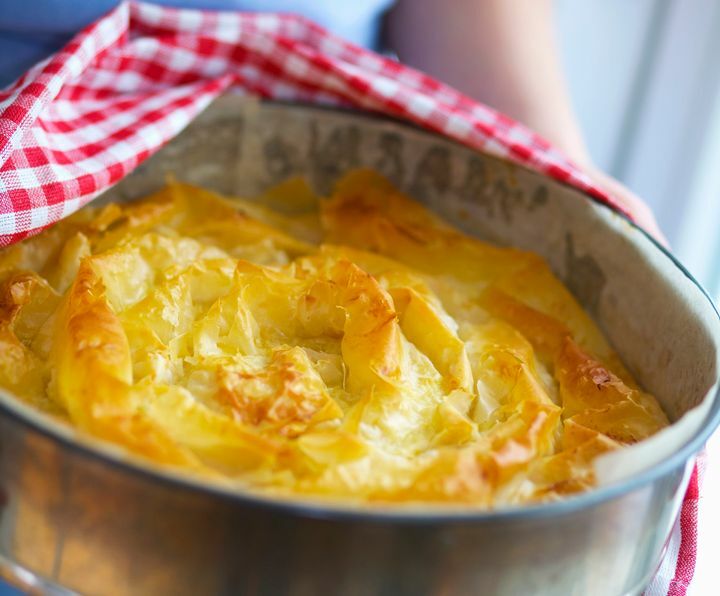 Filo pastry with sheep’s cheese filling is known as banitsa. 13. Meals often come cheap. Expect to eat a luxurious dinner — plates of goodies, drinks, the works — for about $10 USD. Of course prices vary from place to place. But on the whole, you’ll be rollin’ in the dough (both literal and figurative) at every meal. As in much of Europe (or anywhere that’s not the U.S., really), Bulgarian locals have mastered the art of sitting back, relaxing and simply savoring each other’s company. Instead of robot-like humans plugged into their laptops, a typical coffee shop scene includes large groups of friends laughing and hanging out. THIS, people, is what life’s all about. 15. Bulgarians take holidays seriously. Following one of many public holidays, Bulgarians don’t hesitate to take an extra day off, too. Visit on Liberation Day or Saint George’s Day, and expect to join a party in the streets. 16. There’s no such thing as commuting. Bulgaria’s chilled-out culture reflects a love for people and pleasures in the immediate proximity. When you visit, locals will recommend sights that are near to your current city or town, ensuring you’ll never have to go out of your way to see something awesome. Mountain city of Chepelare, Bulgaria. 17. Old mixes with new, for a scene that’s always cool. For example, Sofia’s Roman ruins are juxtaposed with modern buildings that would make any architecture junkie swoon. A city tour is never boring when so many styles converge in one place. 18. Almost NOBODY will know where you went. 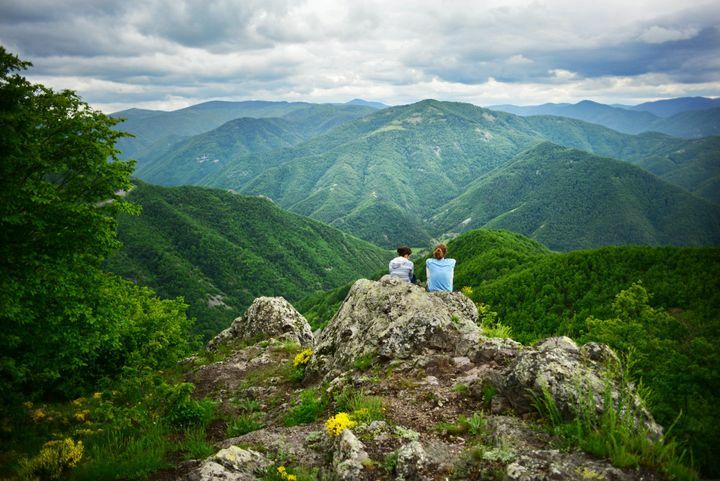 If for no other reason, visit Bulgaria just for the stunned stares, dazzled comments and “You went WHERE?” questions that come after a visit to this amazing nation. You’ll be able to educate your fellow Americans on a very important place… one they should visit as well!